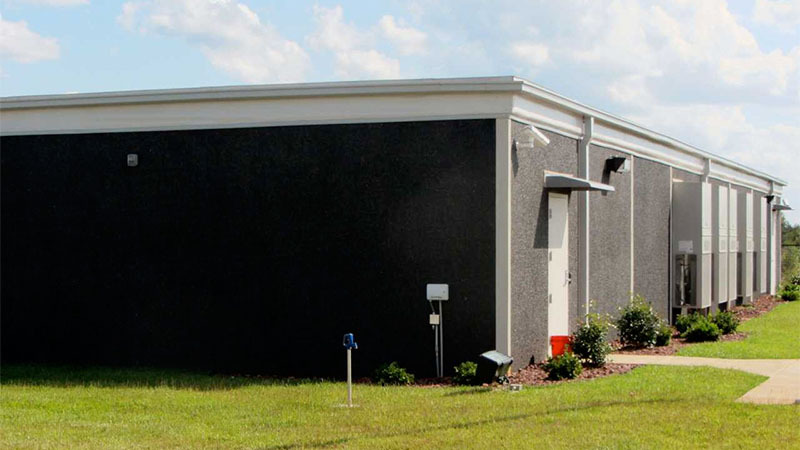 Storm rated building systems manufactured by Modular Connections, LLC are designed meet all FEMA 361, ICC 500, and IBC 2009 (and subsequent revisions based upon state code adoption) structural requirements. 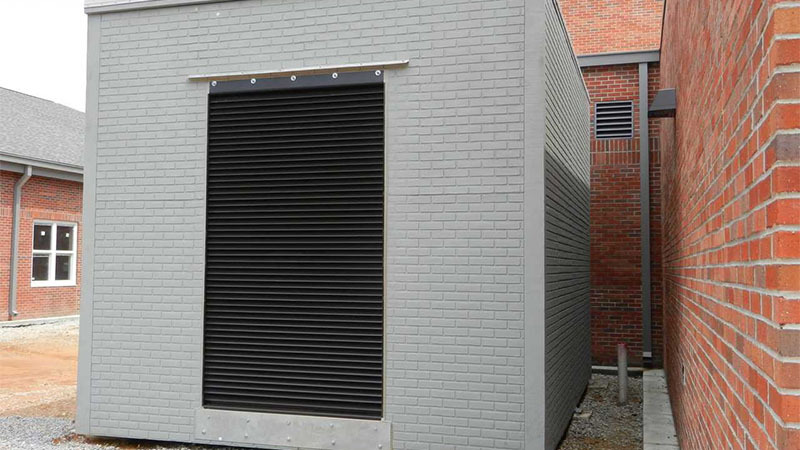 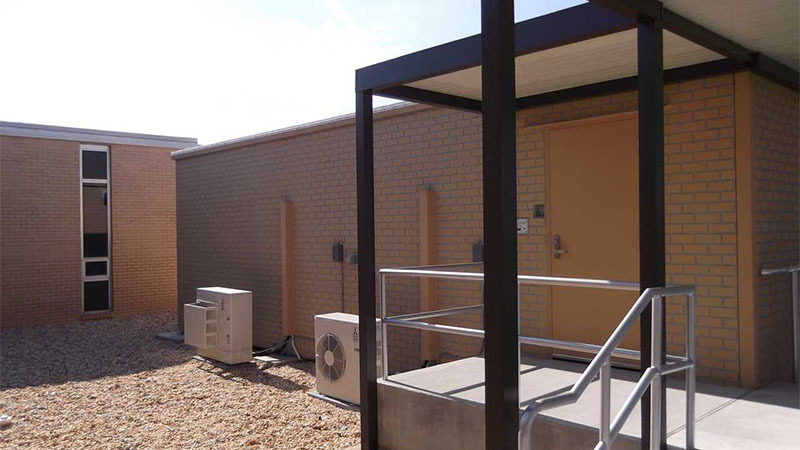 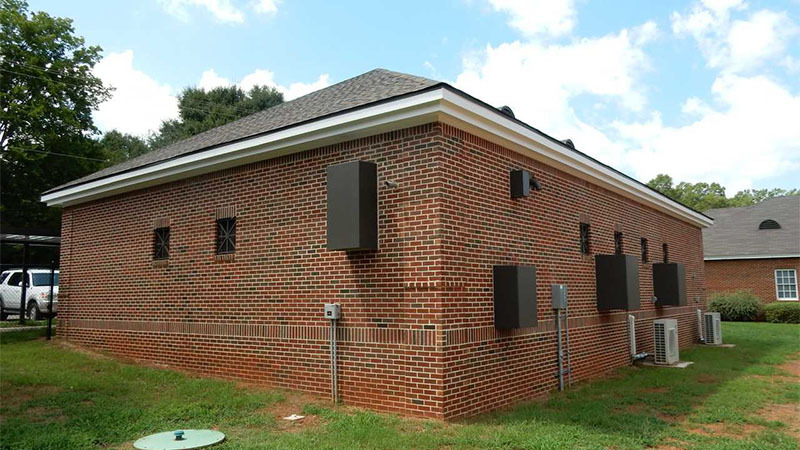 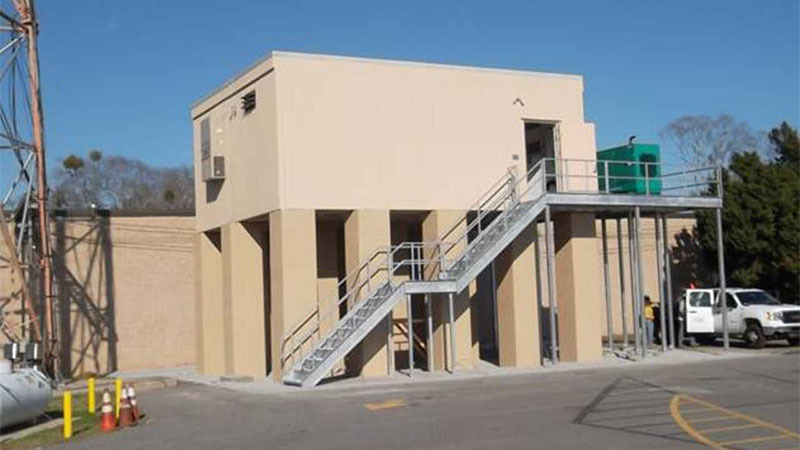 Our storm shelters are used in schools, communities, healthcare facilities, industrial plants, and in public works areas to protect people and critical equipment during severe weather. 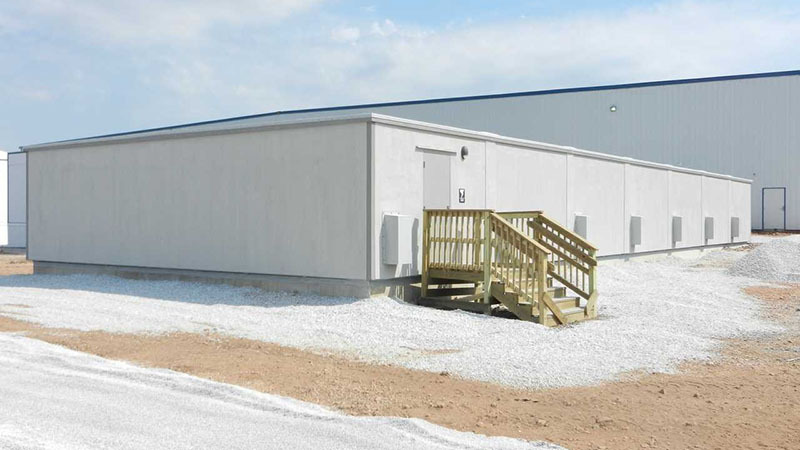 Shelters are constructed of steel reinforced precast concrete and can withstand 250 mph winds. 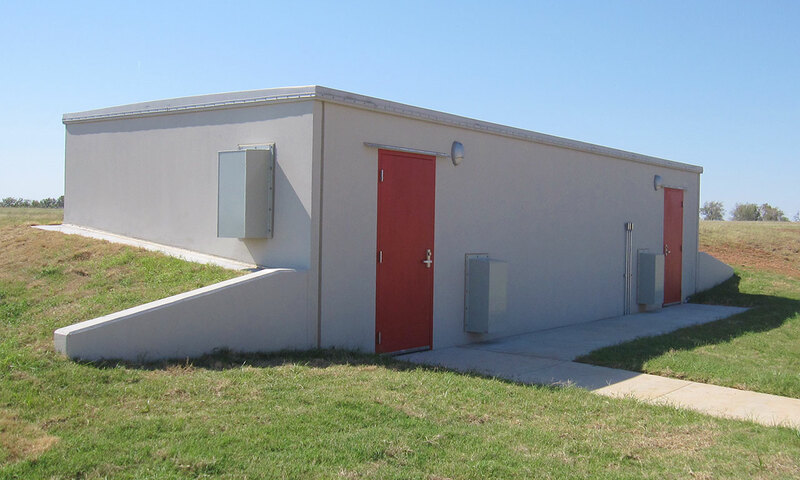 The occupancy requirements and added features of the storm shelter will determine its size in accordance with all applicable building codes. 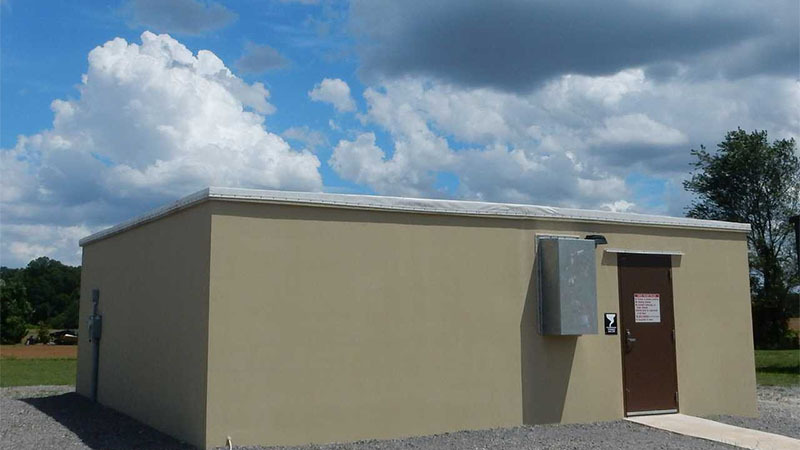 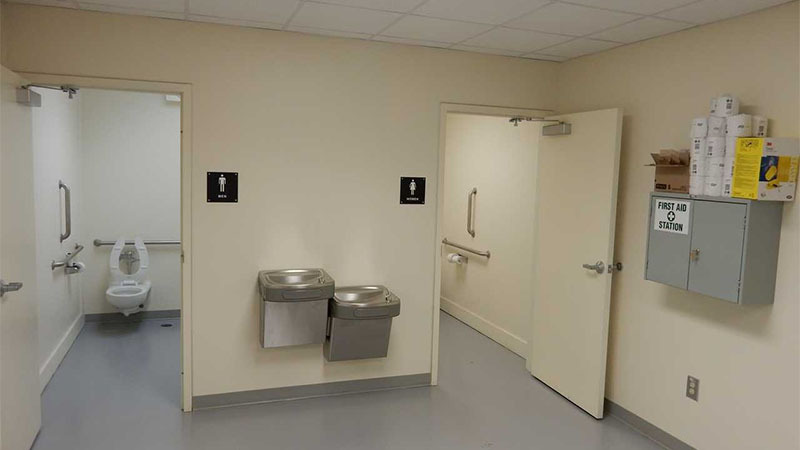 Some features typically added to storm shelters include restrooms, lighting, and emergency power systems. 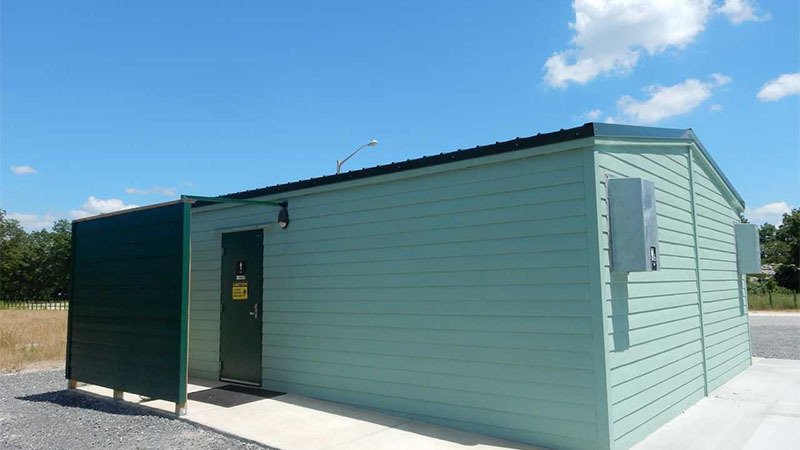 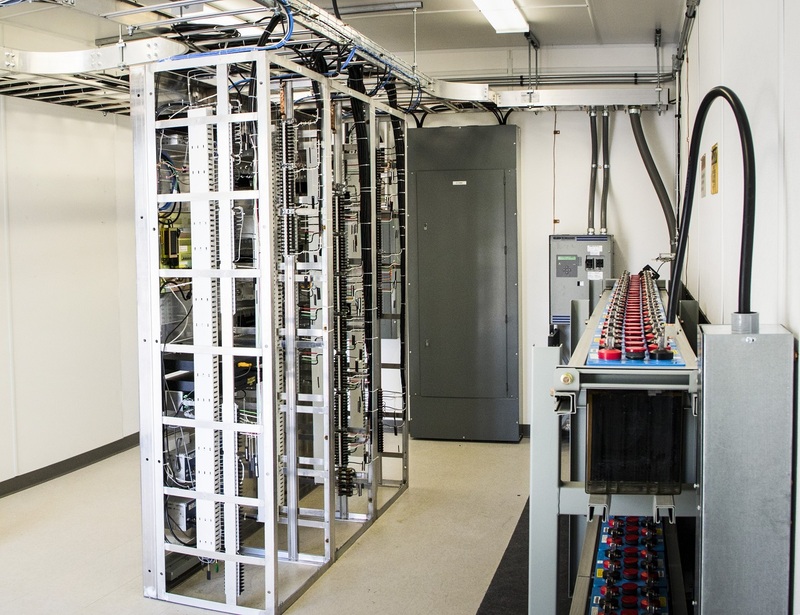 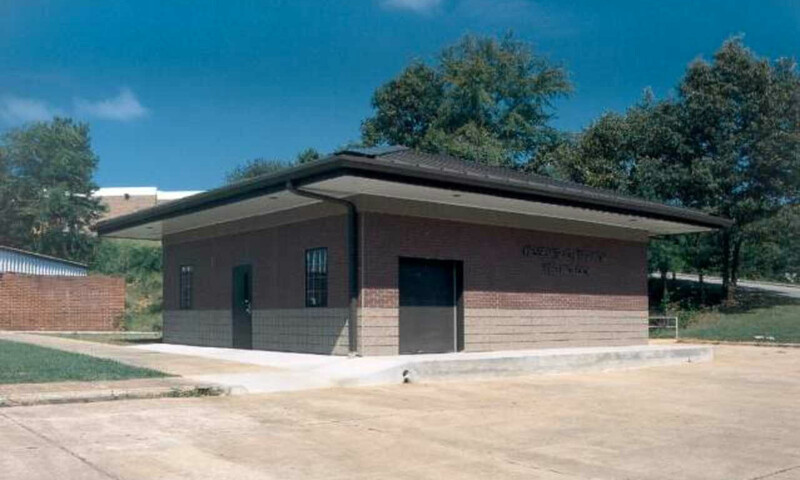 Modular Connections, LLC works closely with its clients to customize building designs and features for the intended application, whether it be a basic community shelter or an integrated disaster operations center. 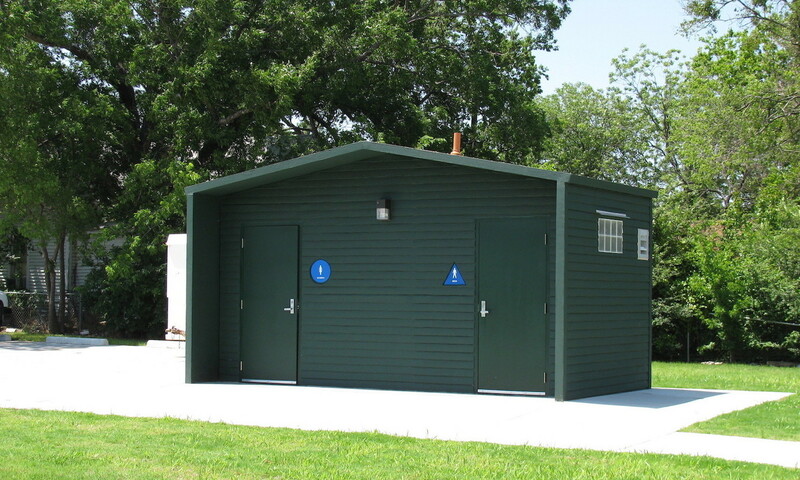 A variety of exterior finishes are available to ensure that shelters blend with the surrounding architecture. 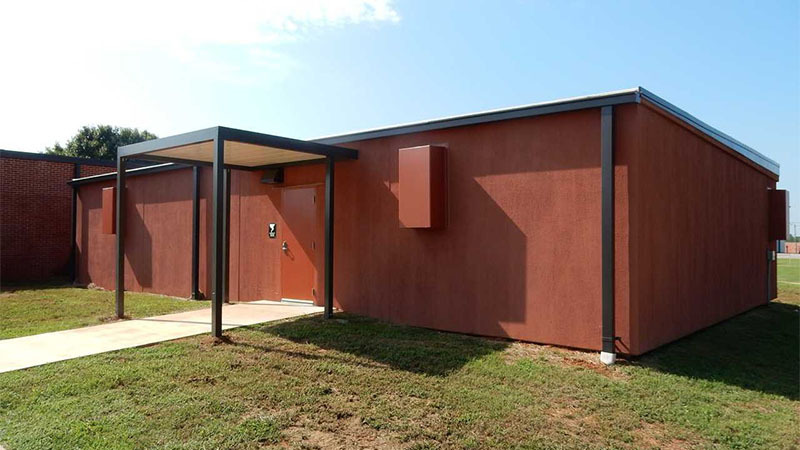 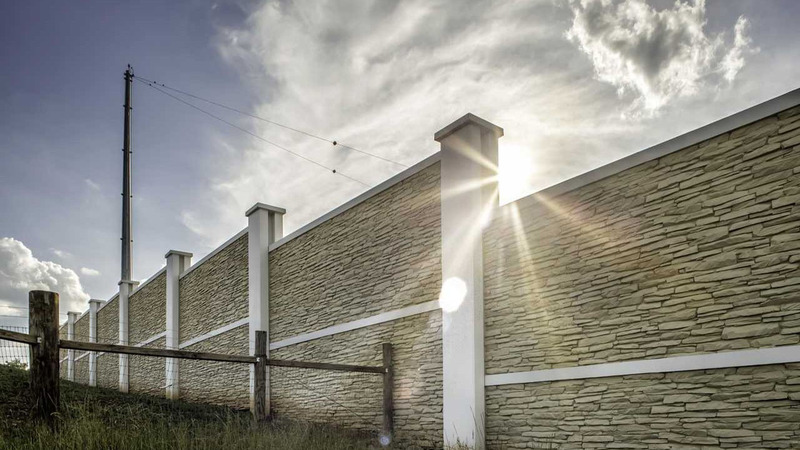 Examples of optional exterior finishes include exposed aggregate, simulated brick or stone and multiple paint finishes designed to fit with industrial, commercial, and public applications. 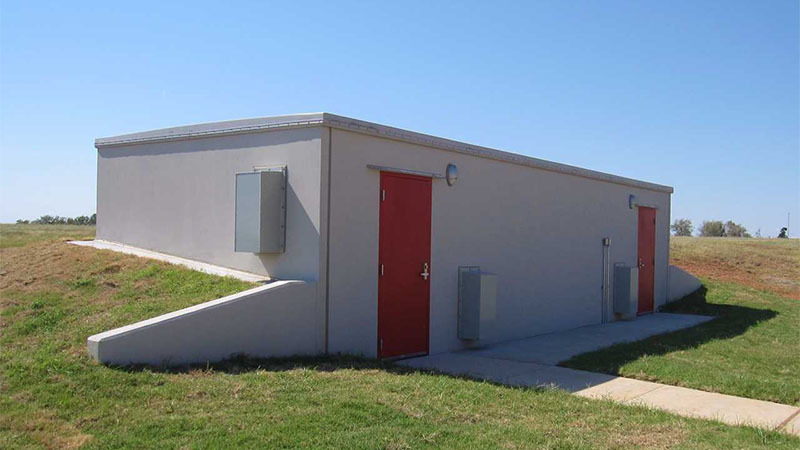 Multiple sizes of shelters are available. 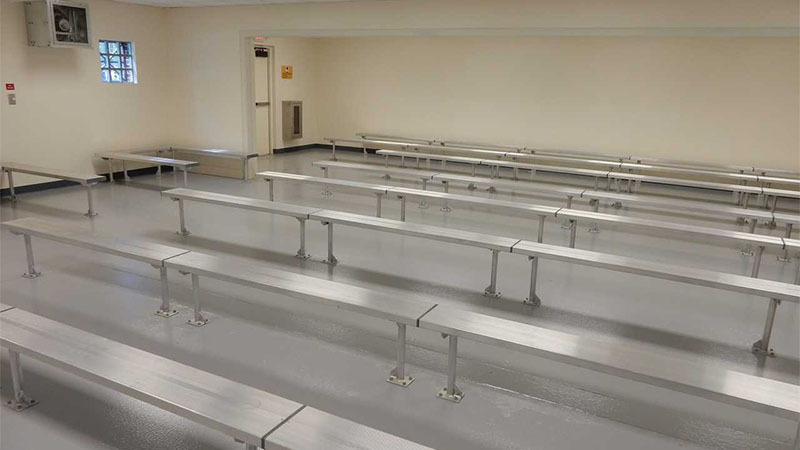 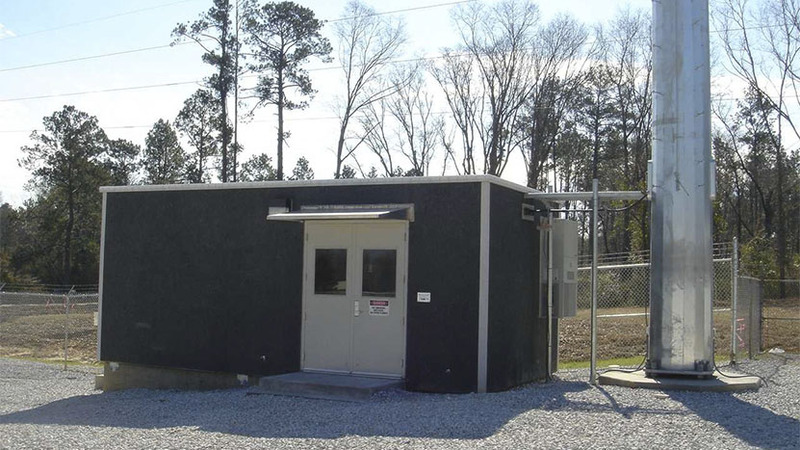 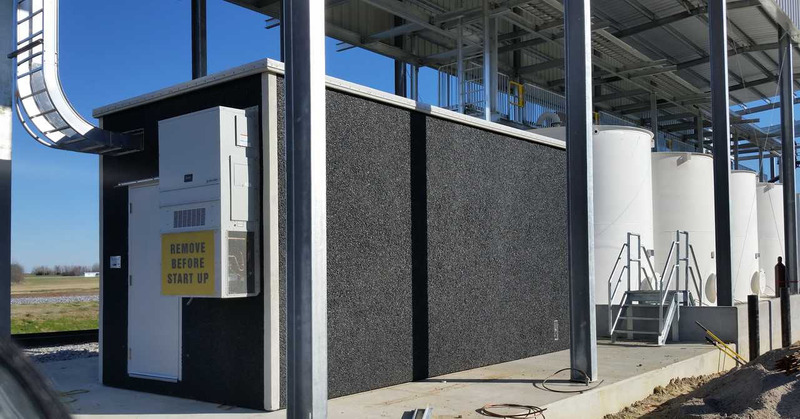 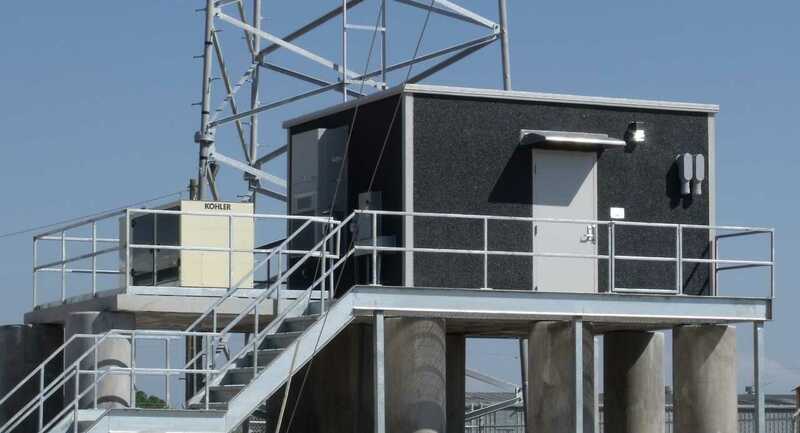 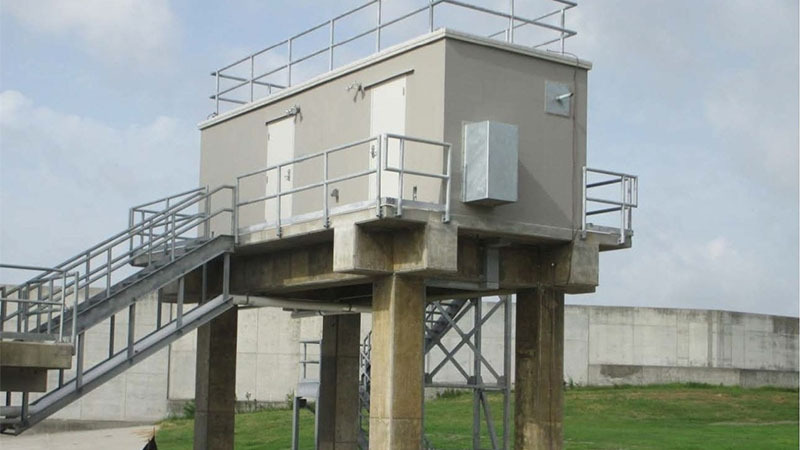 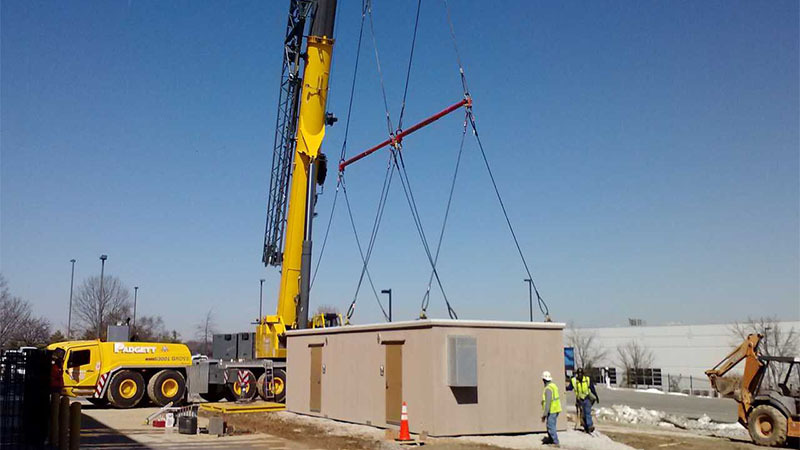 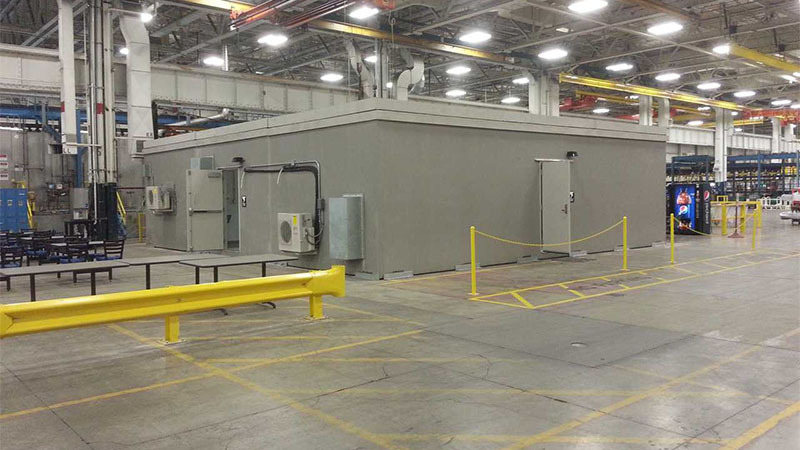 For high occupancy storm shelters, multi-purpose facilities, and/or critical equipment storm ready applications, multiple modules are routinely combined for large square foot requirements. 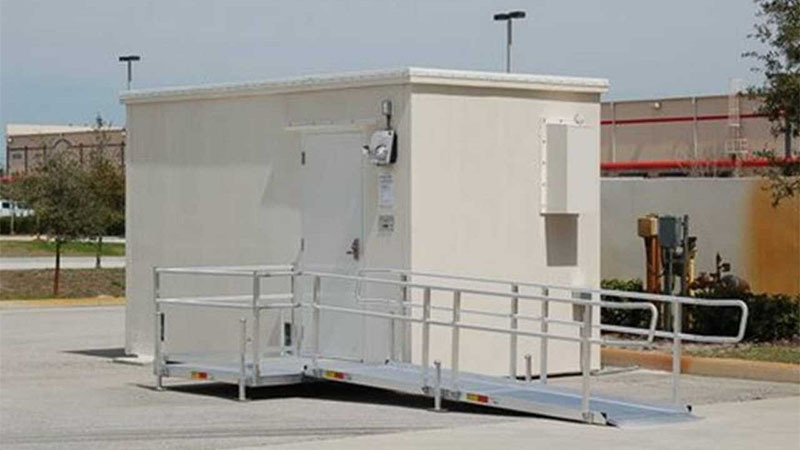 For more information about our storm shelters, see the table below, or contact us directly.